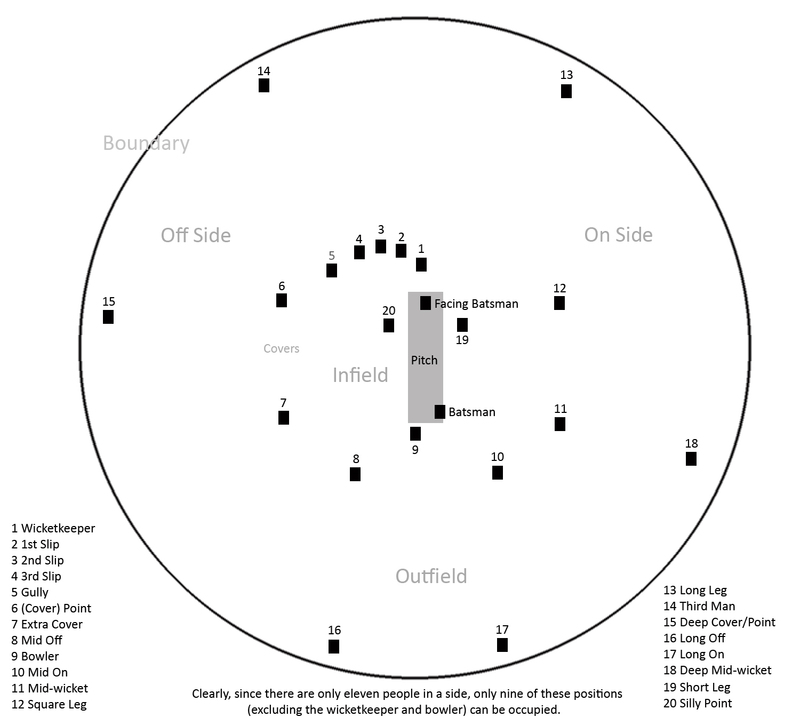 For you cricket nuts, here’s the much simpler baseball fielding positions, which are the same whether the pitcher or batter is right- or left-handed. 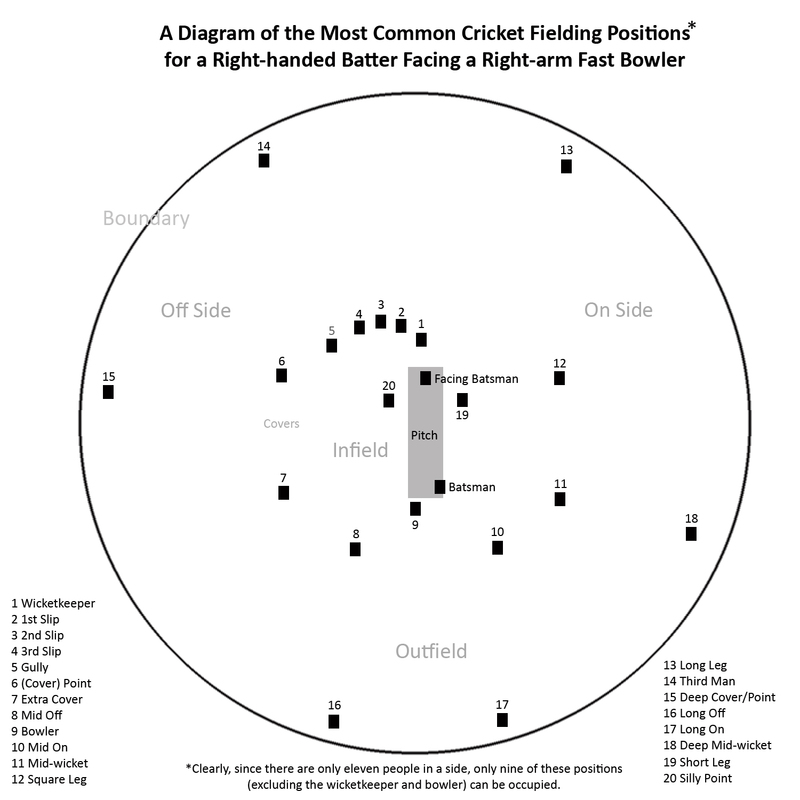 If the bowler is left-handed the field does not change. Sorry should check before I post stuff. 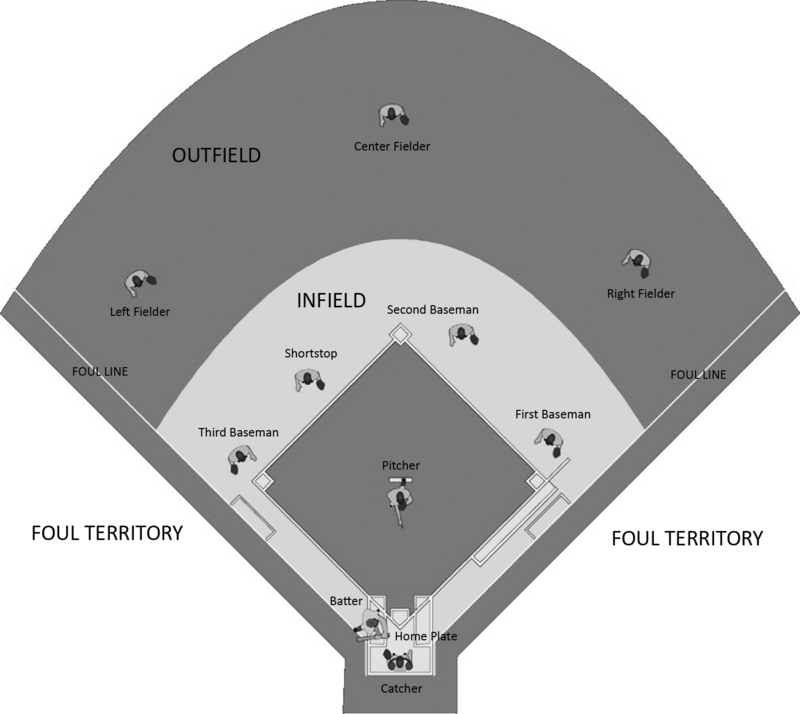 This baseball field diagram is WRONG! The foul lines do not belong there. Foul lines in baseball are formed by straight lines between home plate and 1st (& 3rd) base, and this straight line extends to the fields end. We hadn’t noticed that the schematic we use is inaccurate with respect to the positioning of first and third bases. This link http://www.baseball-almanac.com/stadium/baseball_field_construction.shtml shows the diamond correctly. Thank you for pointing out our error and we’ll look for a better diagram.